More stability and reliability for basic web hosting needs. Shared web hosting will soon be a thing of the past. With many hosting companies over selling their servers and piling on as many as thousands of customers on to the same web server, the reliability of their services will soon diminish. When hosting on a shared server, your website's uptime and performance can be impacted by other websites on the same server. What this means is that if your web server happens to also host a 12 year old wanna-be programmer that happens to crash the server, your website will suffer from this as well. It's important to ask yourself if you are willing to take those kinds of risks with your websites, especially if it is used primarily for business. Another benefit of hosting on a VPS package is that you get complete root access to your environment. This way, if you need a custom software package installed, you can do so without having to wait for your hosting provider to support it. Shared web servers are typically optimized for security and performance as best as possible, and this means that there are many popular software packages that are not supported due to their security limitations. Having your own virtual environment allows you to bypass all of those issues. Green hosting and the use of deferentia technologies has been gaining a lot of popularity over the past few years. It is important to do your part to make sure your carbon footprint is as little as possible. VPS Hosting can help you achieve this. With dedicated server hosting you are taking all the resources of a server – which means you are the only person benefiting from that server's power consumption. However, with a virtual private server, a large dedicated server is sliced or divided into many different virtual environments. This way, many more people shared the resources of that physical server. Some websites are established and do not expect much variance in the amount of traffic they received. For them, this factor might not be that important. However, for someone who is starting a new website with hopes of growing it into something much larger, being able to scale your hosting resources without any downtime or technical issues is very important. When you host with a VPS hosting account, your environment is hosted within what is called a container. This container is allocated a certain amount of resources depending on the package you purchased. The great thing about how these containers work is that they can easily and quickly be allocated more or less resources as you need them. For example, if you need to upgrade your ram quickly when you are expecting a high surge of visitors, you can simply add more ram to your container with the click of a button. If you were using dedicated hosting, someone would have to physically install the new ram into your server – which would result in downtime and lost traffic. 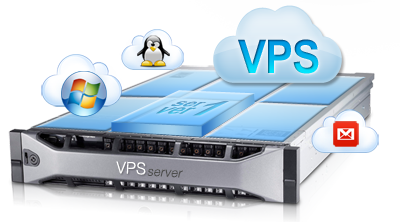 VPS hosting solutions are much less expensive now than they were only a few years ago. With advances in virtualization technologies, the prices are only expecting to decrease. Because of this, VPS hosting is now an option for all size websites – even if you are just starting a brand new site. You can get a small private hosting environment for as little as $35 per month – this is almost as cheap as a shared hosting account but without all the risk and performance issues associated with them. Once you decide to move to a VPS solution, chances are you will never look back. It is important to consider a provider that allows for easy management so you have complete control over upgrades and scaling your solution. Many VPS packages also come with one of the popular control panels that will take care of all your needs as far as maintaining and managing your website. Check out our VPS hosting packages if you are interested in getting started.